Pack your bags, we’re going to eat! (SPOT.ph) If the way to a foodie’s heart is through food, then the way to fully understand a country’s culture is through their unique cuisine. We’re serious! Trying the food of the country you're visiting should always be on your itinerary. Food brings people together no matter where you are in the world—and there’s nothing like exploring the flavors behind a country’s culture. Pinoys love to travel and eat so if you’re up for a gastronomic and cultural adventure, you might want to fly to Singapore to experience the Singapore Food Festival 2017 happening from July 14 to 30, 2017. Singapore Food Festival was first established by the Singapore Tourism Board in 1994 and has since become a much-awaited annual affair, bringing people from all over the world together to celebrate the richness and diversity of Singaporean flavors and their multi-cultural heritage. It’s the best place to explore local delicacies since it is the only festival dedicated to local food. The festival is a testament that Singapore is indeed a foodie’s haven, thanks to its diverse and innovative dishes. And since we’ve already established that the way to understand a culture is through its food, this year’s Singapore Food Festival lets you discover different sides of Singapore through the different aspects of their food, and appeals to whatever foodie personality you are. 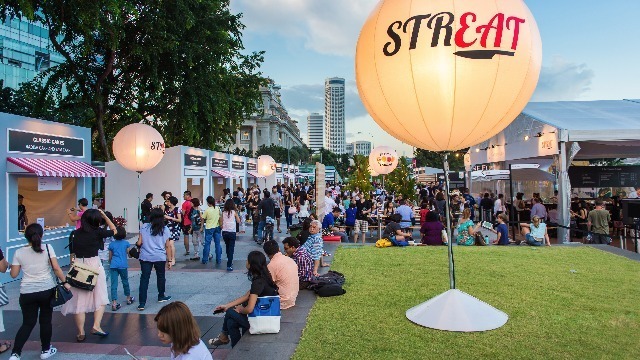 If you’re the type of person who embraces everything that’s modern and loves fresh takes on classic dishes, you wouldn’t want to miss STREAT—Singapore Food Festival’s signature affair. Chef Malcolm Lee of the world's only Michelin-starred Peranakan restaurant Candlenut is teaming up with Chef Willin Low, the founder of Modern-Singaporean (Mod-Sin) cuisine, to give local classics a contemporary twist that will surely tickle your taste buds! The duo is also in charge of curating a line-up of nine local hawkers and chefs for this year’s event—each giving local delicacies a unique spin. Held in conjunction with this year’s STREAT is a photo exhibition, “Our Hawkers: One Dish, One Chef, Generation of Stories”, presented by Canon Singapore. The presentation will tell the stories of 15 local hawkers and their signature heritage dishes. Wine enthusiasts will be pleased to know that there will be a Hawker Wine Safari by Merchants Wine Store where guests can pair hawkers from Maxwell Food Centre (among many other hawker centers) with artisanal small winemakers in Australia and New Zealand. Craft beer lovers can catch Open Stoves by Timbre+ where they will showcase their fresh offerings at the Wok This Way outdoor beer garden. Guests get to enjoy tasty dishes infused with wok hei (literally ‘breath from the wok’ which gives dishes new umami depth of flavors) and be able to pair it with perfect craft beer. To make the experience even more exciting, they can participate in giant-edition games or play retro video arcade games! Apart from that, there will be live video feeds of chefs working their magic in the kitchen, entertaining acts by Timbre+ resident musicians, and other exciting family-friendly activities that everyone will enjoy. Are you the type who likes to take a trip down memory lane? If you are, you must check out The 50 Cents Fest: Those Years by Chinatown Food Street. Here, guests can take a sumptuous trip down iconic Chinatown Food Street from the ‘80s and get to enjoy entertaining Xin Yao (literally Singapore folk music) performances. The Heritage Town Festival by Kim Choo Holdings Pte Ltd is also perfect for traditional guests where you get to experience a Tok Panjang (literally the long table typically seen at weddings and special feasts) setting, learn how to make Ondeh Ondeh (traditional steamed rice cake balls coated with grated coconut with a liquid palm sugar center), and sample sumptuous Peranakan cuisine among many others. On the other hand, Kueh Appreciation Day by Slow Food Singapore will feature a wide array of Kueh (bite-sized snacks) from Singapore’s various ethnic and dialect groups like Teochew, Hokkien, Hainanese, and even Eurasian. Not only will guests be able to taste the familiar favorites, they can also learn how to create the dishes in 30 to 45-minute masterclasses. Even better, kueh-inspired lifestyle accessories can also be picked up alongside kitchen utensils and equipment! 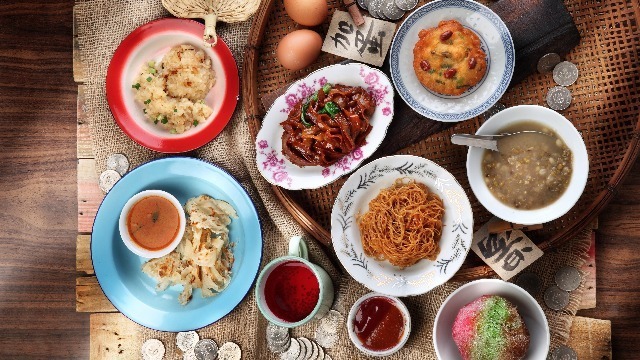 The island-wide Singapore Restaurant Festival is also a must-experience for traditional folks. Here, they get to taste different Singapore-inspired dishes from participating restaurants throughout the country. Immerse yourself in Singapore’s culture through their food. Apart from Hawker Wine Safari, Hawker Spotlight is the perfect event that will school you on Singaporean culture. This year, they’re putting the spotlight on Maxwell Food Centre which is one of Singapore’s pioneer hawker centers. 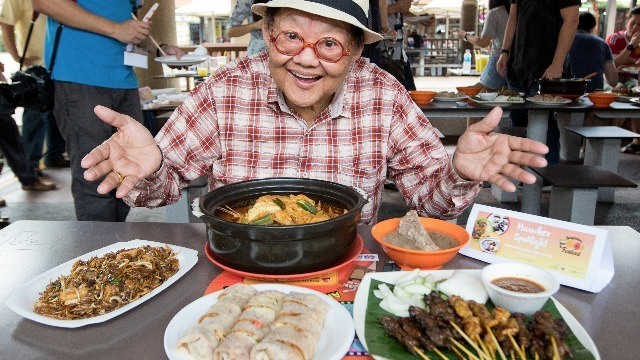 Local food connoisseur Moses Lim will lead a media tour where select food stalls share their history and give exciting sneak peeks into how they prepare their iconic dishes. There will be also a public contest where lucky winners can join this exclusive tour! Photography enthusiasts also get to learn tips from pros from Canon Singapore on how to get the perfect food shot. Tea aficionados will enjoy the Singapore Tea Festival which celebrates the local culture of tea drinking. Discover local tea brands at the Tea Market and enjoy local-inspired eats at “Teapitiam.” Take your love for tea on a whole new level and join talks at the Tea Room or appreciate the history of Singapore tea at the Tea Museum. Meanwhile, A New Taste by At-Sunrice Globalchef Academy is a series of workshops where attendees get to try their hand at different experiences, including cooking in a professional kitchen set-up, learning about local spices, preparing and plating local dishes, and making refreshing cocktails. 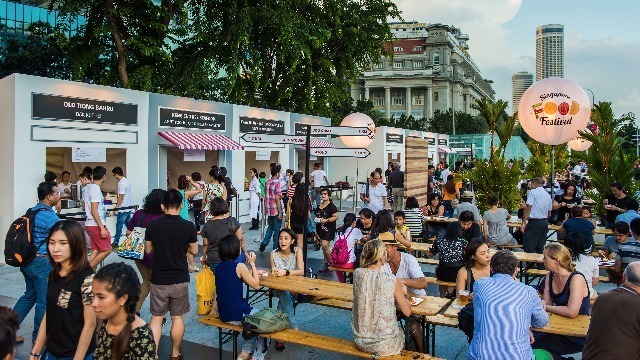 There’s also a place for art lovers at Singapore Food Festival. Shutterbugs are in for a treat! They can join Transforming Your Food Images workshop by Foodist x Morsels which will help you take your food photography game up a notch. With helpful tips and tricks on food plating, styling, and photography, participants can nail that food shot like a pro! 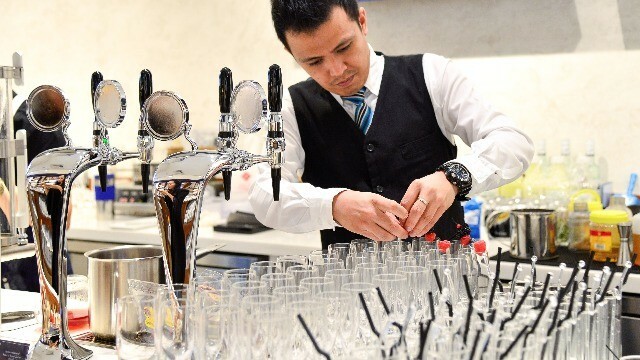 Apart from these exciting events, guests can also enjoy cool promos like getting a complimentary local dish when they make reservations at Chope Exclusives: Local eats edition and get sweet discounts on local-inspired set menus from partner restaurants. Finally, Singapore Airlines will be participating at the much-awaited Singapore Food Festival as well by featuring 18 local culinary favourites on board its flights. It looks like the month of July is the best time to visit and get to know Singapore on a deeper level through its vibrant dining scene. What are you waiting for? Pack your bags and ready your tummies because we’re going on a one-of-a-kind gastronomic adventure in Singapore! For more information and the latest updates on the Singapore Food Festival, visit the website of the Singapore Tourism Board.